Video games come in all shapes and sizes. Some are platform-based, others are first person shooters. Others follow the strategy theme and some a more eclectic variation on what we are used to. There’s no denying, however, that the visuals (graphics) have improved dramatically over the last few decades. The last year or two, especially. 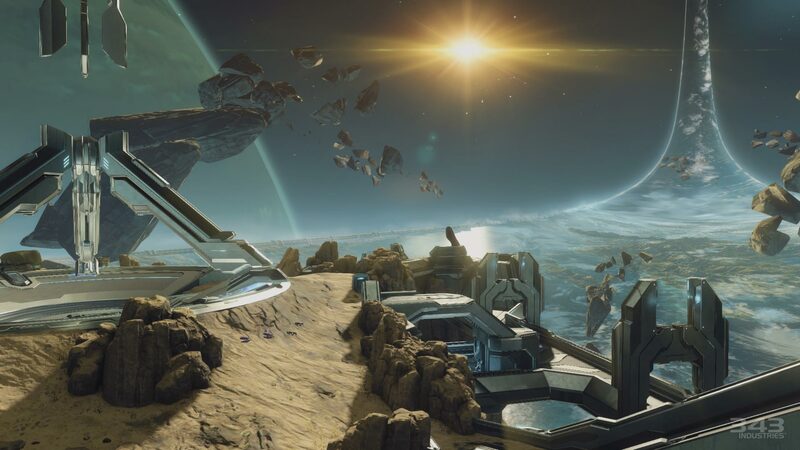 Halo, in any guise, has demonstrated breathtaking vistas, from gameplay to cut scenes, they’re all beautiful. And Ubisoft have developed a knack for crafting stunning scenery. So I thought I would have a look at some of the best graphics I have laid my mortal eyes on in recent years. Say what you like about the Division, but its graphical finesse is in its dark and atmospheric scenes. 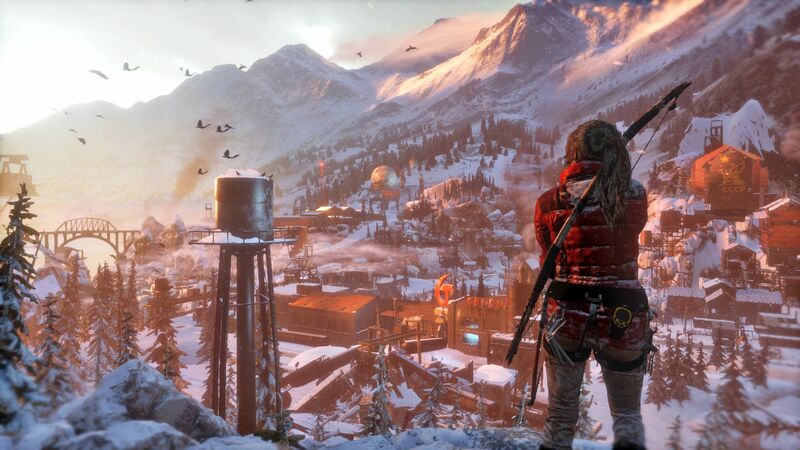 One of the most popular series of recent years has been Tomb Raider. Lara Croft has been the essential go-to game for fans who frequently associate with the adventure and puzzle-based environments closely mirrored in the Indiana Jones universe. But Tomb Raider, and Lara Croft in particular, can certainly hold its own, and has been for more than 20 years. But Lara’s more recent ventures have very firmly re-asserted Tomb Raider as the dominant force in the Tomb Raiding genre. The character has been superbly re-introduced and the locales she often finds herself stranded in are both picturesque and deadly. Lara has been re-invented and her environments re-designed. Back to Ubisoft. The far Cry series has been extremely popular. A series that provides a great deal of freedom in its environments and how you approach each objective, mission or hurdle needs to be able to stand up to visual scrutiny. And like most Ubisoft games it does this extremely well. 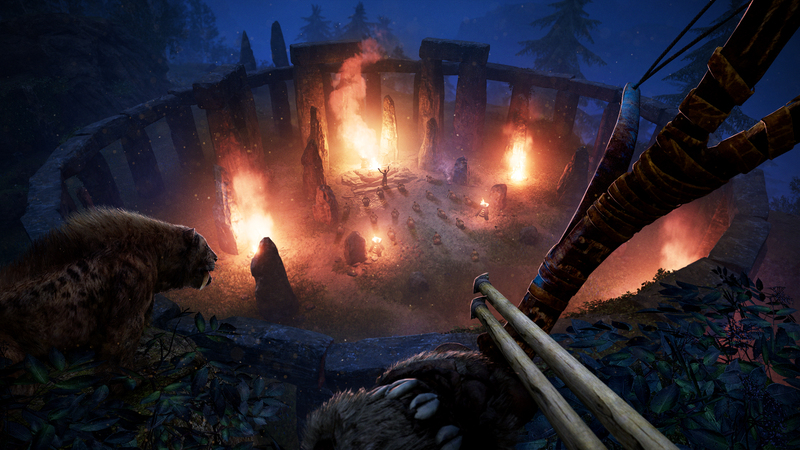 Far Cry 4 and Primal were notable in their delivery of sublime landscapes, and that trend has continued with the Division and Steep. Welcome to the ritualistic delivery of impressive scenery. Okay, that’s enough about Ubisoft, for now. Lets look at Halo. Halo has always provided amazing landscapes, mainly because the landscape is so unusual. But both Bungie and 343 Industries haven’t slacked in the area of visuals. Halo 4, the re-mastered Halo 2 and the more recent Halo 5: Guardians and Halo Wars 2 are all superb in their visual delivery. Say this shot from Halo 2 Re-mastered looks terrible. I dare you. But beauty isn’t limited to games that force you to footslog around the landscape. There are alternatives. Driving games are now some of the best titles for not just presenting driving perfection but for providing stunning scenery to leave your twisted tire marks on. The Crew, Need For Speed, Gran Turismo and Forza are just a few of those aforementioned titles. With Forza being a personal favourite. And it’s easy to see why. The cars themselves are stunning to look at, but so is the scenery. From America to Italy to Australia, the Horizon series has delivered each time. 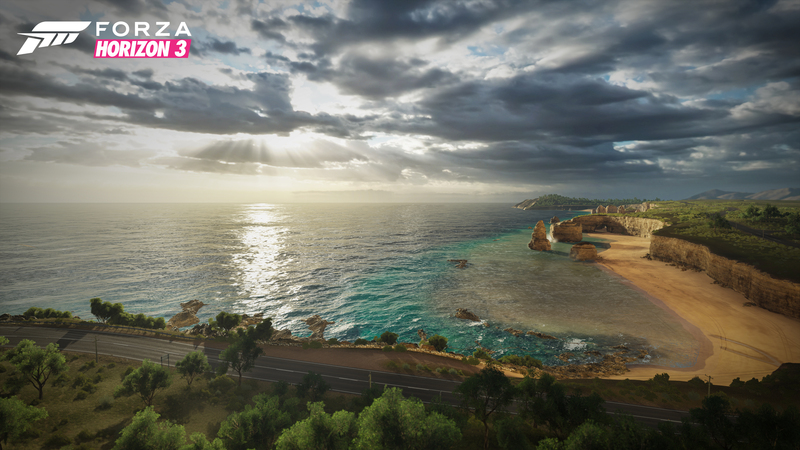 Forza Horizon 3 Coast Landscape, if that wasn’t obvious enough. Okay, okay. let’s get back to Ubisoft. One of their newest releases is For Honour – a wonderful slash em’ up game where players can control individuals that represent certain historical factions, such as the Samurai or the Vikings. 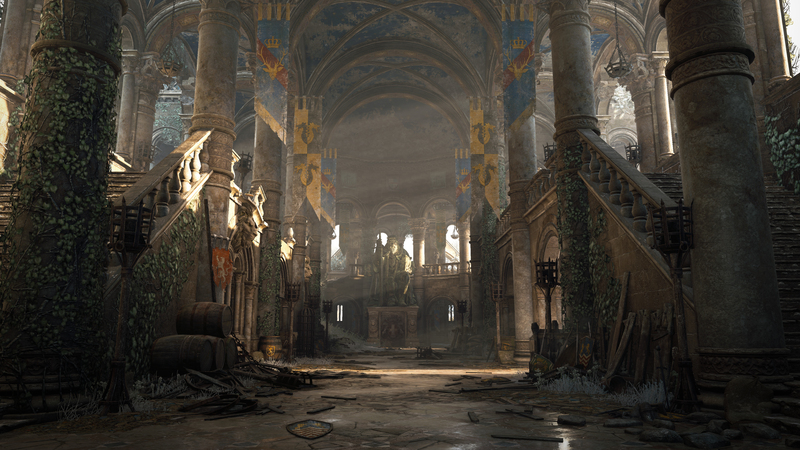 The controls may be a bit awkward, but there’s no denying that Ubisoft have crafted a nice looking backdrop to all the bloodshed and carnage. Ubisoft newcomer For Honour wasn’t hit by the ugly axe. Before Ubisoft started turning their attention to crafting beautiful landscapes, Bethesda were already doing so, but with much larger environments. Skyrim, and its remastered sister release were both great to look at and play, with loads of background and story elements to boot. 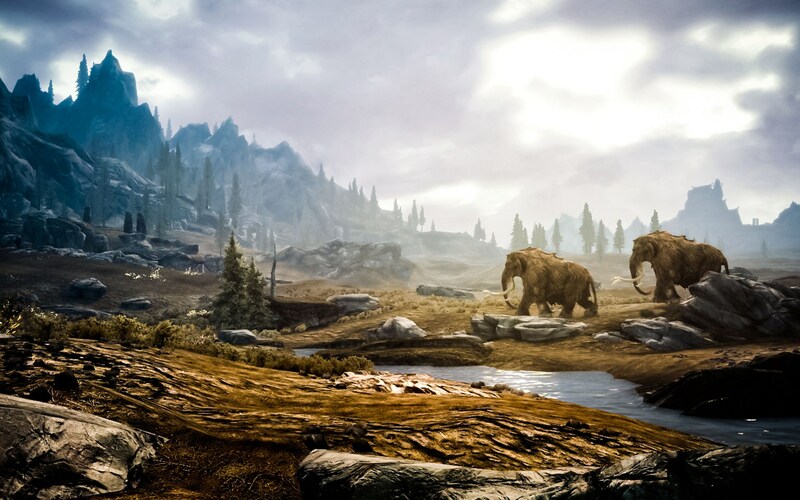 Skyrim combines wide open spaces with confined and claustrophobic dungeon-esque environments. Oh, and Dragons! Games have definitely come on leaps and bounds since the days of Pac Man and Pong. But the stories involved in these environments have also advanced, but we’ll cover the fiction of these games at a later date. We’re keen to hear about your gaming experiences. What games have stunned you with their visuals? Previous Post Middle Earth: Shadow of Mordor sequel announced!